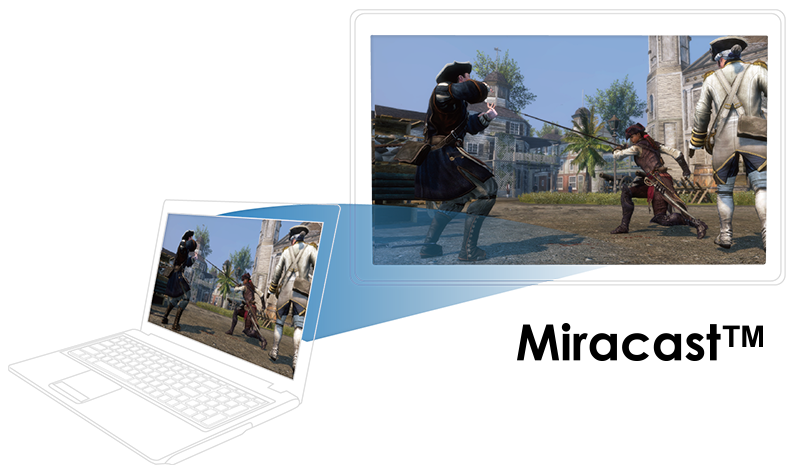 Miracast for sharing the game streaming, image gallery, or video clips wirelessly to big screen TV. When you want a big screen experience without connecting a cable from your MSI Gaming notebook to your TV, Miracast™ Wireless technology makes it possible*. Easy to set up and share your game streaming, image gallery, or video clips wirelessly to big screen TV anytime. *Streaming device must be Miracast™ enabled.